The Venture Capital Investment Competition® began in the middle of the technology bubble in 1998 as an educational event for MBAs to learn about venture funding. Two decades later, through good times and bad in the venture industry, VCIC® has evolved into a marketplace for entrepreneurs seeking investors and a training ground for future venture capitalists. Each year, VCIC includes 50+ events on four continents, serving over 1,500 students, 150 venture capitalists and 100 entrepreneurs. The program is akin to a network of mini-venture fairs, wherein about a quarter of the entrepreneurs who present go on to raise venture funding. At the core of the event is a creative turn of the tables. 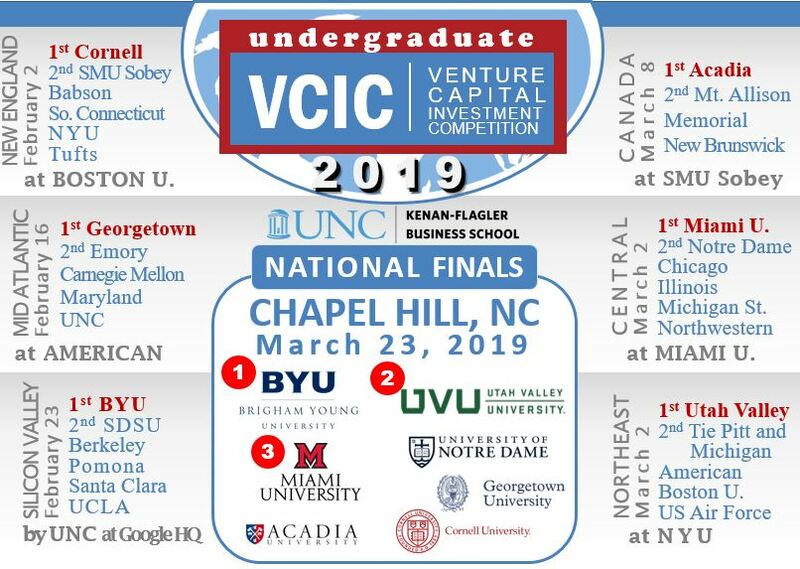 Unlike business plan competitions in which students pitch their own ideas to investors, at VCIC the students are the investors, and real entrepreneurs pitch to them. It is a very powerful learning experience for both parties. Add to the mix a dozen VC judges, and you have what the VCIC website describes as a “win-win-win.” Students learn (and win cash), entrepreneurs connect with investors and VCs get an early peek at some viable deals. How viable? About 25% go on to raise venture capital after participating at VCIC, remarkable considering that most of these events occurred post-bubble, including a dismal one-out-of-30 in 2002. At the finals, 2 of 5 go on to get funded. What began as an experiment in 1998 at UNC in response to the bubble of business plan competitions popping up at most business schools, VCIC has grown into a virtual venture job fair and marketplace. In 2010 the program will included ten regional and 40 single-school events. The program culminates every April in Chapel Hill, NC, with the Global Finals, where the top team takes home $5,000 in prize money.